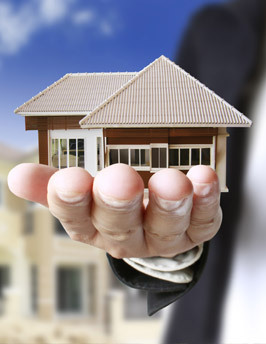 There are over 2000 real estate companies and over 5000 brokers in Dubai alone. Over 500 new companies were registered in 2014 in Dubai alone and we're still counting. The number of projects in the market does not support the number of companies. So with more competitors out there than ever before, how can you differentiate yourself? 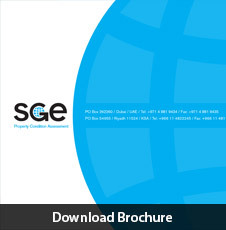 SGE Property Inspection provides the answer. Real estate agents in Dubai are getting the reputation of doing anything to close the deal and that includes hiding facts that the buyers should know or not bothering to find out information that they need. The most effective way to engage a prospective buyer is to build trust, which you can do by providing them with an independent third party report by an internationally qualified and certified consultant. As the intermediary between the seller and the buyer, the real estate firm is in the ideal position to convince both parties of the benefits of a Property Inspection. The seller can rectify issues before the buyer identifies them and demand a higher price (this can be substantiated by a revisit to the property and an amended report after repairs are carried out). Or the buyer can use the report to negotiate a lower price or be satisfied that they are buying property that secures their investment and the health and safety of their family. Either way, as the agent that proposed this service, you will be the winner.